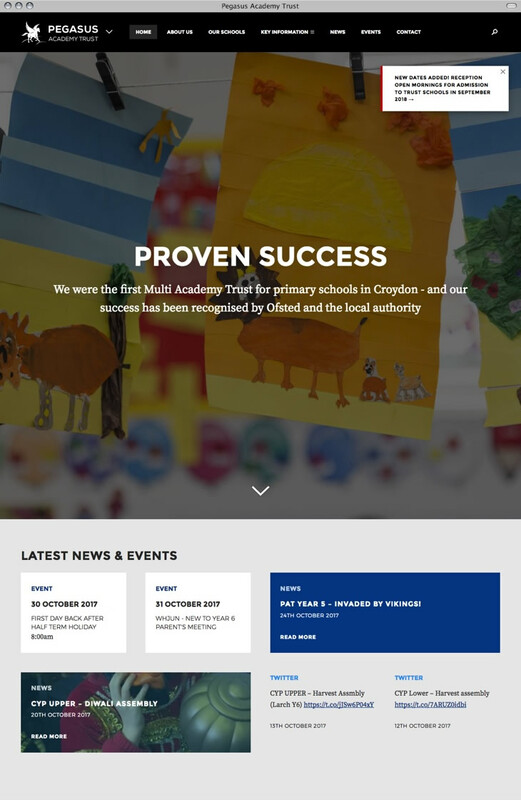 We've now worked with the Trust for over 10 years, and this is our third website for them. The previous website has served very well for the last 5 years, but was looking a little dated and did not have the latest features (in particular a responsive design), so PAT too the descision to have the site completely redesigned and redeveloped - we were delighted that they chose use once again. 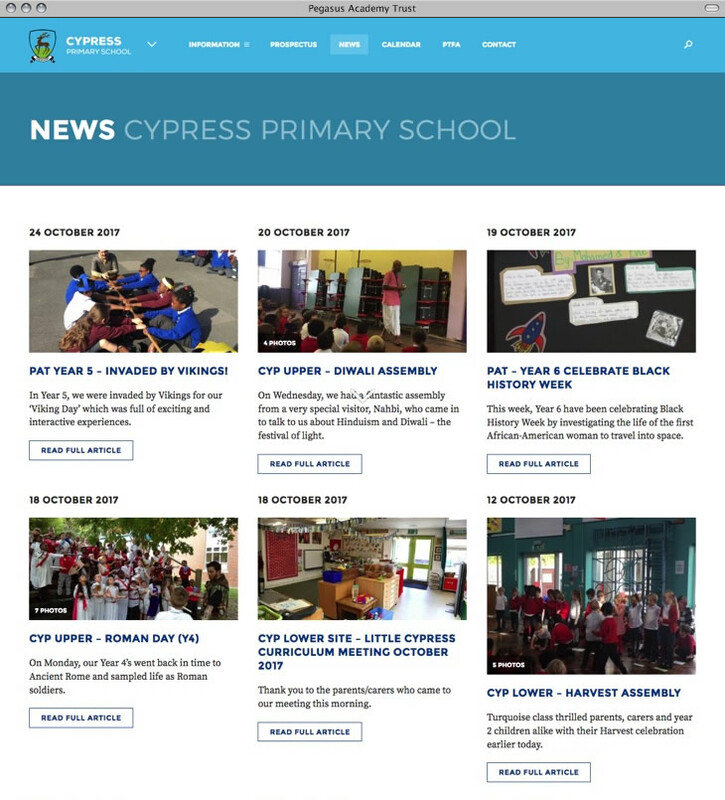 The new site encorporates all six schools which form the Trust, as well as the main Trust section - all individually styled to give a feel of separation - almost like having separate websites for each school with their own distinct sections. We created many bespoke modules to populate the site with, including a custom calendar which parses an RSS feed into a properly designed layout, and incorporates real-time weather forecasts for the near future. 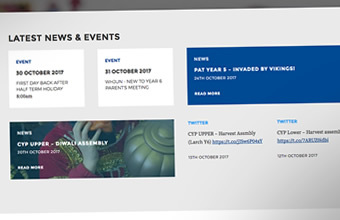 We also created a system which populates articles from Tweets so that we can seamlessly integrate them into the news and events sections. Of course, the website is fully optimized for mobile and the end result still maintains an easy-to-use design despite the complexity and size of the overall website. We also provided a new set of school logos exclusively for used on the new website.